Hey Eminem, hang up your sweaty cap. FLOTUS Michelle Obama, the epitome of all things cool, is taking over rap and doing a fine job of it. Produced by YouTube channel, College Humor, this video for Michelle's 'Better Make Room' project is an attempt to to hike the increase rate of transition from high school to college. Rapping alongside the First Lady is Jay Pharoah, known for his skits on Saturday Night Live. Dressed in monochrome, with her trademark smile in place, Michelle is as chill as ever as she drops every beat in sync. "South Side Chicago, We all know/ We had to do overtime every night to make it to tomorrow/ and everyone could really make their dream true/ Hey kid, listenin' in Michigan that could be YOU", sings the First Lady of the United States, further cementing our love for her. We've seen Michelle dancing to raise awareness about fitness and a healthy lifestyle before, and now we've seen her dancing to ensure school kids get an education. 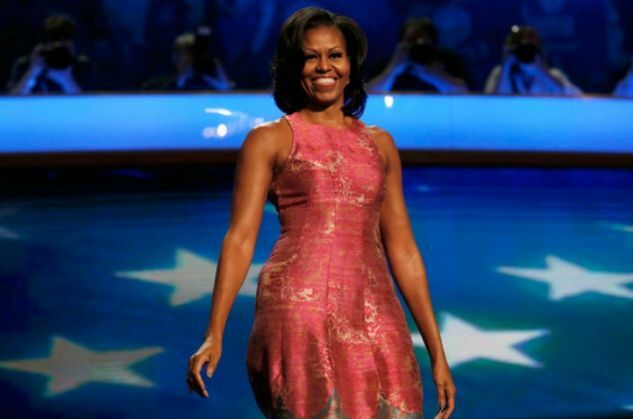 Michelle truly is an inspiration to First Ladies everywhere else.